Change a person’s preconceived beliefs using hypnosis to help them get what they want. Learn the truth about the Magic of Hypnosis. Learn how to hypnotize anyone–even in mere seconds. Learn how to really use direct suggestion hypnosis to create powerful and lasting change. Are you ready to change your life? Call us for more information or to enroll now! Invest in yourself. Master your mind and the minds of others. Next offering: March 7, 8, 9, 10, 2019. $895.00, Enroll with a credit card or select “PayPal Credit” for a financing option. Discover the magic of hypnosis. It’s for the beginner and professional hypnotherapist alike. Learn and hone existing skills through live experiential hands-on trainings with the best–Connie and Michael–both are master hypnotists!You’ll learn the fundamentals of hypnosis. Powerful hypnotherapeutic processes. What is hypnosis, how to hypnotize, how to influence the unconscious mind. You’ll learn how to make lasting and powerful suggestions. You’ll learn how to connect people’s motivations to their goals in irresistible ways. You’ll learn how to create change that is easy, immediate and positive. BONUSES: Additional bonus presentations: marketing your hypnosis business, and self hypnosis. We offer financing options through Paypal Credit. Take your hypnosis skills to new levels! By popular demand, we are unveiling three new 4-day hypnosis courses! Prerequisite: Hypnosis 1 and Hypnosis 3, or equivalent. In this course, you learn the subtle use of language, gestures, tonality and much more as you learn to influence others in the ordinary course of conversation. We all influence others when we communicate, and are influenced by them when they speak. Learn to control the impact of your communication in everyday settings and to direct positive outcomes. You learn to recognize spontaneous trance, and learn how to use it to maximize your influence in any conversation. Who are Connie & Michael? Both are Washington State registered hypnotherapists and Licensed Trainers of NLP ®. Michael is past President of the National Guild of Hypnotists, Washington State Chapter: NGHWA. Connie teaches hypnosis at Bellevue College Continuing Education. In addition to teaching, and presenting, both of them DO hypnosis. On a daily basis. 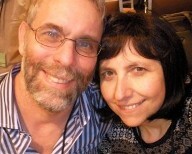 Connie & Michael operate a very successful hypnosis practice, Mindworks Hypnosis & NLP, out of Bellevue, WA. We offer a very experiential learning environment, including lectures, demos, practice time, trance time, and personal feedback.